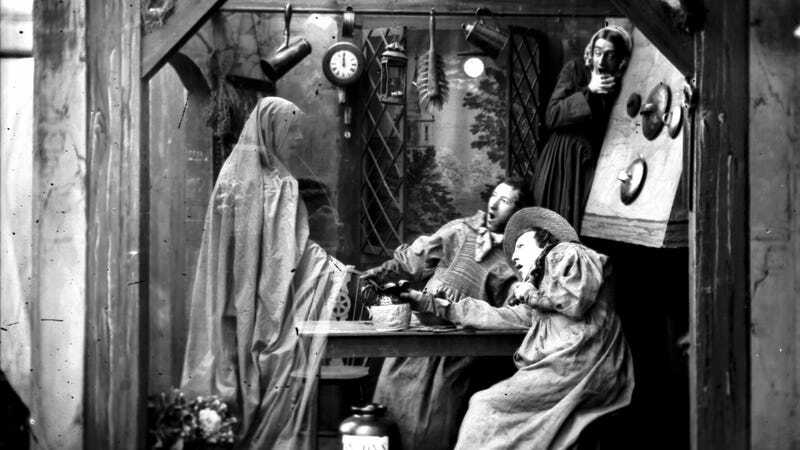 After a reported sighting of a specter in the vicinity of the frozen peas, a spokesperson for the New England grocery chain Market Basket has been forced to issue a statement that their stores are, as far as they know, ghost-free. As far as they know???? Specifically: “an old Victorian era woman in her nightgown ... near the frozen peas.” Unsurprisingly, the claim quickly made it to a local Wilmington publication and from there spread across the internet. “As far as we know all of our stores are ghost-free,” a spokesperson told the Globe. “But if there’s anything to it, she’s probably attracted to our Victorian-era prices.” More likely she’s been brought back from the dead by the wonder of flash-frozen vegetables which are a true wonder of the modern age that we don’t discuss enough. And frankly, “as far as we know” leaves Market Basket with entirely too much room to maneuver.